Squirrels seem to be as natural a part of America's cities as concrete and steel, but in reality the critters are another one of humans' additions to the urban environment. The grey squirrel that thrives in the majority of the United States, for example, is native to the Northeast, and was sometimes kept as a pet during the colonial era. Benjamin Franklin even brought a squirrel -- which he called Mungo -- with him to England; when Mungo died, Franklin wrote the animal a eulogy. 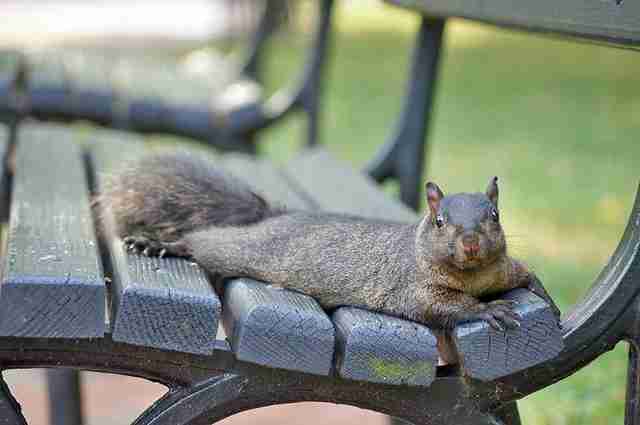 Even as the city starts implementing ­squirrel-control measures, the animals attract a devoted following. New York papers report that various elderly eccentrics -- including "a member of a noted dry-goods firm" and "a "tall, gray-haired man of military bearing" -- are into feeding them. 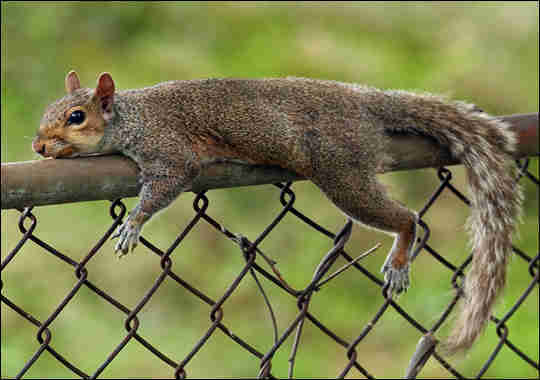 Around the same time, workers at Central Park and the Bronx Zoo accuse Italian laborers of hunting squirrels for food, and a guard in a Bronx park is beaten ­unconscious while ­trying to arrest a ­squirrel poacher. The nascent ecological movement places more importance on the realities -- rather than the idealization -- of nature. Birds of prey and other natural squirrel predators are now regarded more highly, and the squirrel continues its fall from favor. 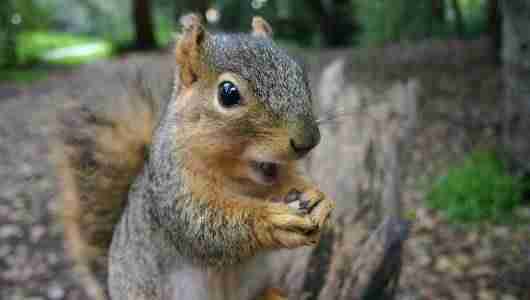 Spurred by the green movement, parks start posting "No feeding" signs to cut down on human-squirrel relations. Hawks and falcons are now viewed as welcome guests. An adventurous (and possibly mischievous) squirrel steps onto a power line and shuts down nasdaq for 82 minutes, likely preventing more than 20 million shares from being traded and possibly sparking a revival of squirrel sympathy. A mysterious squirrel is reportedly the first tenant at the under-construction Bloomberg Tower. Even construction workers are charmed by the squatter; the squirrel has become a friend again. In the more recent past, Stein found, squirrels have gained legal protections and even joined the 99%, as one "tiny, adorable pet squirrel" made an appearance in the 2011 Occupy Wall Street protests. You can find the rest of Stein's timeline -- and find out what's in store for squirrels in the digital age -- in this week's animal friendly issue of New York Magazine.